Yesterday I drove past Book Again, a small used bookstore in Redondo Beach that I haven’t been to in a while (constantly rushing with the little one, you see), and finally made it a point to go to before seeing my clients. 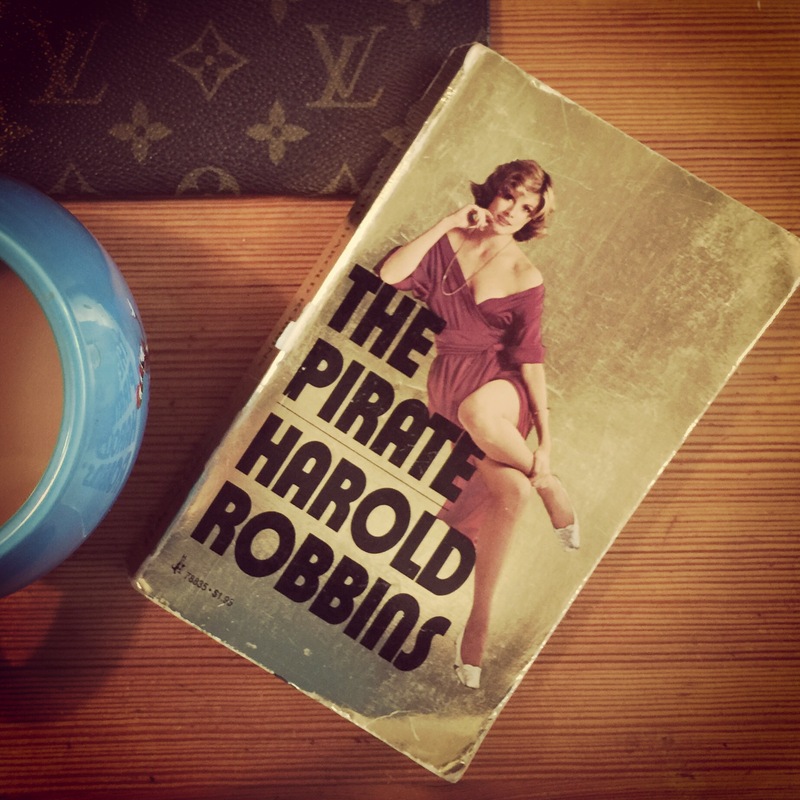 Now I know why it was meant to be, for who else was waiting for me in the row of shelves outside the store with the sign 15 books for $3 but Baydr Al Fay, uber hot protagonist of Harold Robbins’ The Pirate, someone I’ve been on the hunt for since forever. This was one book I didn’t want an ebook copy of (like I do for A Stone For Danny Fisher which I discovered doesn’t bring about the same feelings I’d felt then holding the paperback in my hand) and I’m so happy I’ve got my own copy finally. The smell and feel of an old book is downright amazing, and reading the words again feels even better than I expected. At first I thought I’d be disappointed like I read some people are when rereading a book they used to love, but not this one. I’ve been reunited with Baydr Al Fay and Jordana and Leila – and it still feels damn good.